On Friday 18th January a small team from the BBC along with Dr. Agnieszka Janik McErlean and Foley artist Meltem Baytok (Doctor Who, Halo: Nightfall, Black Mirror) visited dBs Music Bristol to film an experiment with our students for the new series of 'Trust Me, I'm A Doctor', which hoped to illuminate the physiological effects of ASMR. Could you briefly explain what ASMR is for any people who have either never heard of it or don’t really understand what is? ASMR stand for Autonomous Sensory Meridian Response – a bit of a mouth full! It is a condition where some people (apparently up to 50%) are sensitive to certain sounds. This tends to be things like whispering, crunching, tapping and stroking. Research is in its infancy, and has only really taken off with the rise of ASMR videos on YouTube and Reddit. Because of this, the exact mechanisms that trigger ASMR aren’t known. There have been studies on ‘musical chills’, synaesthesia and misophonia which are similar to ASMR – but the connections are not yet known. The sensitivity to these sounds result in people feeling more relaxed. People tend to watch ASMR videos to help them sleep and relieve stress. How did this particular documentary come about? My job as a researcher on ‘Trust Me I’m A Doctor’ is to develop, set up, help film and occasionally help edit items for the show. We always come up with a mixture of topics to cover different aspects of medical, diet and exercise. I came across ASMR whilst reading a Guardian article published in October 2018. When we find a ‘story’ which we think might be interesting, we then contact academics working in this field to source as much information surrounding the piece as possible. Essentially what we are working towards is writing a ‘treatment’ which describes the science, why it is interesting, what the medical aspect of it is and the “take home” message for our audience. If it’s hard to write a treatment, chances are the item might not be suited for Trust Me. In this case, ASMR turned out to be very interesting, very current, and had a potential medical aspect which would be our angle for the piece. Before filming, my job will be to liaise with the expert in order finalise information and any experiment protocol, work with the director to help with the script and find the filming location. 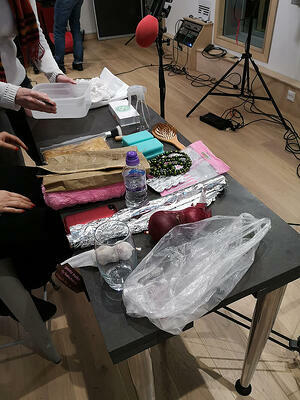 We try to be creative with locations when possible – in this case filming in a sound studio was perfect! Thank you dBs Music! After talking about this documentary with some colleagues it appears that for some, ASMR is viewed as this bizarre and almost fetishised new media, thanks in no small part to certain videos on YouTube. Is this mindset something you’ve encountered elsewhere whilst creating the documentary? Yes, and it's something that we wanted to avoid! Surveys have shown that only 5% of people who watch ASMR do so for ‘sexual pleasure’. I think the fact that researchers in psychology, neuroscience, psychiatry and even biopharmaceutical sciences are looking into this condition promotes the complex science behind ASMR. If someone hasn’t heard of ASMR and looks up YouTube videos it’s only natural to find it a little strange – everything is strange when it is unknown. However, if you were to play these videos using only audio it wouldn’t be seen as provocative - this is what we were testing. ASMR CAN (and is) be used as an audio relaxant, and it was this that we were interested in. What’s been the most surprising thing you’ve learnt about ASMR whilst making the documentary? There has been very little studied on ASMR, and even less when it comes to the physiological reactions to listening to these sounds. So far, the conclusions that some have come to is that ASMR could be used in the future as a therapeutic alternative to taking drugs for things like anxiety, insomnia and stress. The body responds in the same way as if you had taken the drugs – essentially mimicking their effect. Far more research needs to be done before this is considered but even just the possibility of this I find incredible. Meltem prepares to create Foley sounds for the experiment. For years ASMR was this indefinable ‘feeling’, which has now become a cultural phenomenon. Has your investigation revealed the catalyst to the ASMR explosion? The internet! Some YouTube video makers have over a million subscribers. This really is a condition that has been amplified by technology. Our expert for this piece actually discovered ASMR through her research – but for most, ASMR would have been first heard via some form of internet platform. The experiments were conducted by Dr. Agnieszka Janik McErlean, who is a Senior Lecturer of Psychology at Bath Spa University. Has she previously investigated ASMR and its physiological effects? Aga’s main research is in synaesthesia. It was with some of her synaesthesia patients that she first came across ASMR. She published her first paper regarding ASMR in 2017, and a second one last year. Her first paper was titled ‘Assessing individual variation in personality and empathy traits in self – reported Autonomous Sensory Meridian Response’ and the second one ‘Increased Misophonia in self-reported Autonomous Sensory Meridian Response’. 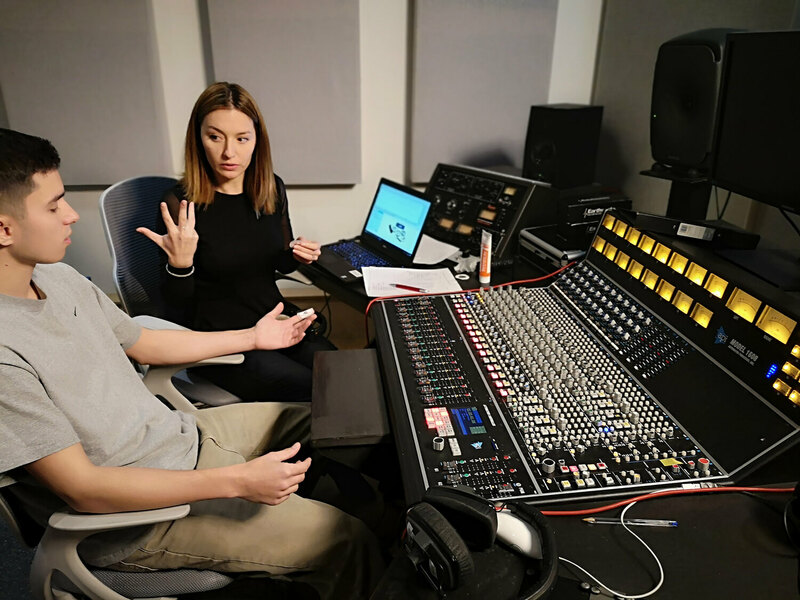 The experiment performed at dBs Music was a first for Aga looking into physiological effects – and a first for ASMR looking specifically as the physiological effects of audio only ASMR. Aga monitors the results of one of our students in the Studio 3 control room. Do any of the team involved in the making of this documentary respond to ASMR? Yes – both the director and our presenter (Alain Gregoire) respond to the ASMR noises we created on the day. Alain said that he did feel some of the tingling sensations described in papers, where as the director found the noises slightly soothing, but not enough for him to start listening regularly. Unfortunately I don’t feel it at all – although I do experience ‘musical chills’. 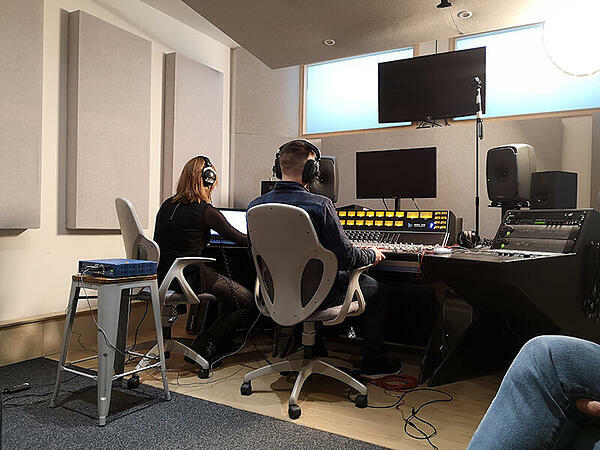 Here at dBs Music our Sound for Games and Apps students spend time working with VR and Binaural Audio. Based on your findings, can you foresee ASMR making waves in these worlds? Honestly, I think anything is possible in technology at the moment. With ASMR really taking off in the past 5 or 6 years, people naturally start to look for the next ‘level’ of experience. I’m unsure how ASMR would fit in to VR, but I can certainly see it extending into Binaural recordings. I’m sure as academic research continues in this area, and the science backing increases – more and more people will become aware of ASMR as a ‘real thing’ and will feel more comfortable listening to it. I would expect recordings and videos to venture away from the more ‘seductive’ settings, to more interactive and immersive experiences. Are there any other ways you foresee ASMR having an impact in day-to-day life? For those who are really effected by ASMR, it already impacts there day to day activities. One example given to me was that of a woman who used to regularly miss her tube stops in London because she was so immersed in ASMR noises created by people in their everyday lives (hair brushing and putting on make-up for example). Away from the extremes, I’m not sure it will have a huge impact for a big proportion of the population; however, if this does take off as a therapeutic remedy then it could have a big impact for those with stress, anxiety and insomnia. For example, someone who suffers with work stress might listen to it at lunch time to help relax, or those who have trouble sleeping might listen to it before bed. For these people, the resulting impacts could be huge.